I receive The Wall Street Journal and would've seen & posted this when it came out a couple of weeks ago, but I was on vacation. 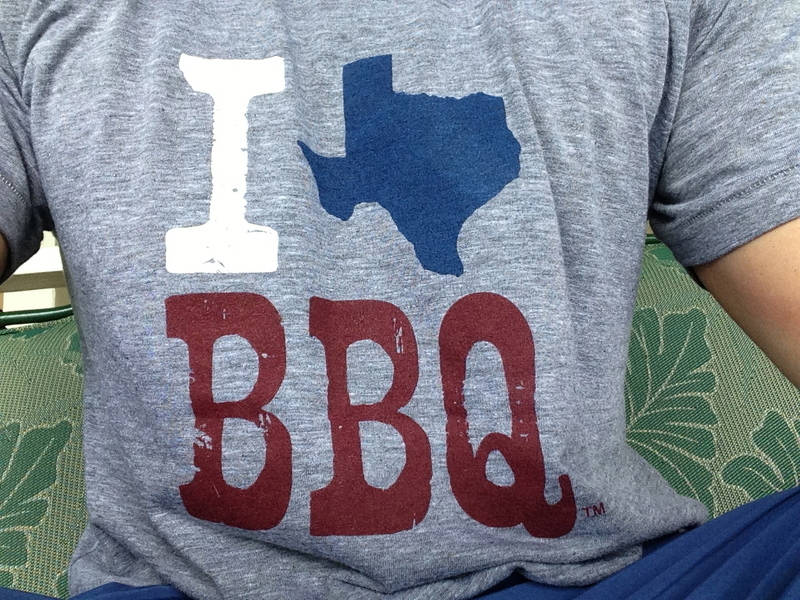 Thankfully, my department head, who is a huge BBQ fan, sent it to me while I was away. It's a piece on chefs doing innovative things with traditional BBQ. It highlights, among others, Dallas' Tim Byres (Smoke) & San Antonio's Tim Rattay (Granary 'Cue & Brew). Here are the first & last paragraphs of the article: "A SPECTER IS HAUNTING the barbecue world: the specter of stale smoke. Don't get me wrong—barbecue is our great American food, a high art attained through years of patient training by men as single-minded as samurai. But it has also become stagnant and so dogmatic that many pit masters haven't changed their recipes or routines in decades. Some shaking up is in order. And, at long last, it's happening. 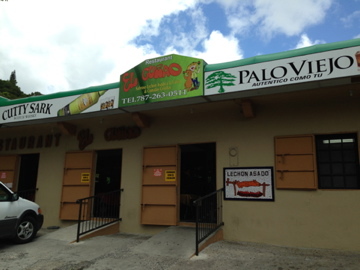 The New 'Cue is here." ----- "Wherever he's coming from, people like it: Mighty Quinn's is jammed every night, as are most of the other places venturing beyond the 'cue canon. The people of San Antonio are still wrapping their heads around the Granary, but I give it six months before reservations get scarce. "What the hell is this?" a man asked me when I was there recently. "Can't I just get some brisket?" Buddy! I wanted to say. There are a million places to get brisket, and 95% of it tastes exactly the same. There's room in the pit for something more." Read the full article. Chicken & pork pinchos in Puerto Rico! 83. Texas BBQ House (Phoenix, AZ) - "We specialize in family-recipe dry rub meats smoked low-and-slow over oak and served in true Texas BBQ style on white butcher paper. Our signature smoked meats are complemented by a variety of traditional Texas BBQ side dishes and desserts. Sauce is optional." Update on June 8 Texas Q Tours trip! Twitter has connected me with so many people I might never have known. Many of them are people I've later met, either by chance or by plan. One person I met by chance during my last Texas Q Tours trip is Robert Jacob Lerma. He loves Texas BBQ, & he takes fantastic pictures of it. More on that shortly. Robert came to Texas via California, where he was a police officer. After grad school, he moved to Austin in 2008. He works in research medicine and lives in Bee Cave with his wife, 2 daughters, & a Belgian Malinois named, wait for it, Brisket! Finally, Robert is a self-taught photographer, and he has an impressive collection of Texas BBQ photos. Check out his website, & follow him on Twitter! SAN ANTONIO, TX (May 24, 2013) – Only one thing can match the heat of summer: the sizzle of Q on the Riverwalk as San Antonio firefighters step into the flames and compete in the ultimate barbeque throwdown during the Third Annual Firefighter Q Off on Sunday, June 2nd from 2 p.m. to 5:30 p.m. at Q on the Riverwalk, located inside the Hyatt Regency Hotel. Q Off pits teams of firefighters from the San Antonio Fire Department against each other as they rely on their surefire recipes and grilling expertise to fight for the title during the Iron Chef-style competition. Hoping to impress the panel of celebrity judges—as well as win the popular vote—each team will create a barbeque entrée using the recipe they submitted to enter the contest. Dave Rios of KONO 101 FM will emcee the battle, keeping the crowd in the know as the teams battle the flames. “We like to say that the secret ingredient in everything we do at Q is love. Watching these firefighter teams work, you can tell they do the same—they create terrific dishes to share with their fellow firefighters every day. Seeing the fire professionals work to tame the flames during the Q Off is fun—they really know their way around a grill and the recipes they submit for the competition are top-notch,” says Q Executive Chef David Wirebaugh. Q’s new summer menu spotlights urban Texas barbeque, featuring earthy, downhome, old-time Texas-fired cuisine, as well as ingredients that are truly Texas, sourced as close to San Antonio as possible for the best flavor possible. Admission to Fire Fighter Q Off is open to the public and is free, though donations to the Texas Burn Survivor Society are encouraged. Proceeds from limited edition Firefighter Q Off aprons and raffle ticket sales also benefit the society. The Hyatt Regency is donating five percent of proceeds from Q’s dinner service during the month of June to further support the society as well. In addition to the celebrity judging, there’s also a popular vote competition: the team receiving the most popular votes will also take home a prize, so be sure to come support your favorite team and taste some great barbeque so you can declare your favorite dish. And while you can help one of the teams claim a prize, you can also claim a prize yourself: Q Off features terrific raffle items up for grabs, including a night’s stay at the Hyatt Regency San Antonio, a top of the line Weber Genesis E-310 Gas Grill, dinner for 2 at Q, Grill tools, gourmet gift basket from Q, and more. The winning Q Off team will receive a grand prize to include: a complementary weekend stay at the Hyatt Regency San Antonio for each team member and lunch catered by Q on the Riverwalk at the team’s firehouse. The winning team members of the popular vote will each receive a gift certificate to Q on the Riverwalk. While the firefighters display their grill skills, the family-friendly event will feature Sparky the Firedog sharing his tips for fire safety and kids can try firefighter helmets, suits and boots on for size and while checking out an antique fire truck. Kids can also pose as firefighters and have their pictures taken in front of the fire truck. Kai the Arson Dog will also be on hand to meet and greet little firefighters. 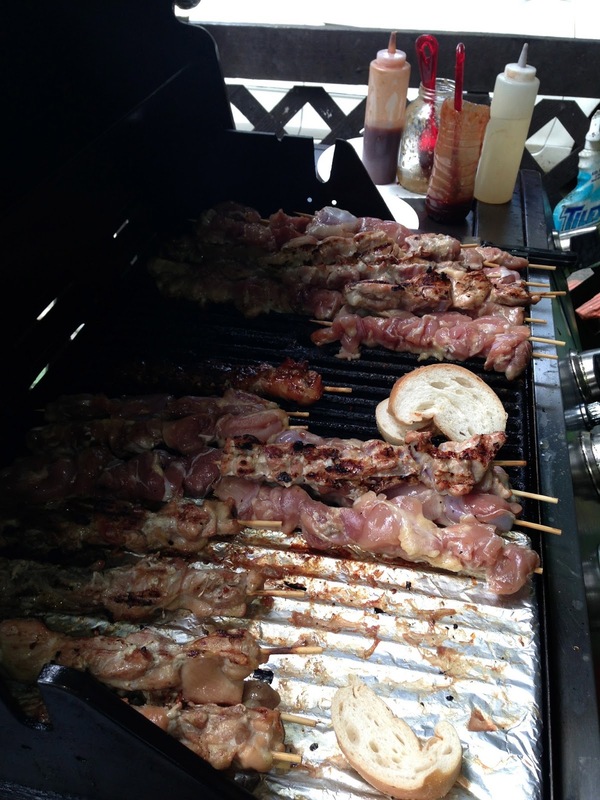 Review the manufacturer’s instructions and safety precautions before using your grill. NEVER use gasoline to start your cooking fire! Make sure the grill is clean. Burnt on food and leftover grease are fire hazards. Be sure the grill is located in a safe area. Keep clear of trees, wooden fencing or low hanging eaves. And never barbecue on balconies of multistory buildings! Always have a method to extinguish the fire in case it gets out of control. Close the lid or have a fire extinguisher, bucket of sand or water hose close to the grill. It’s always best to plan for safety. Use utensils with long handles (18 inches or longer is best) that do not conduct heat. Protect your family: keep children and pets away from the grilling area and don’t leave the fire unattended. Q is located on the street level of Hyatt Regency San Antonio at 123 Losoya Street, and is open seven days a week for breakfast and lunch from 6:30 a.m. to 2:00 p.m. Q offers dinner service Tuesday thru Saturday from 6:00 p.m. to 10:00 p.m. Following an Army helicopter crash in 1959 that left David Jayne critically injured, he and his wife Jane Jayne founded the Texas Burn Survivor Society to help mentor burn patients undergoing treatment and rehabilitation at Brook Army Medical Center’s Burn Unit. Through various ministries, the Society assists not only patients, but family members, in transitioning back to living fulfilling lives. “Our mission is about turning victims into survivors,” Executive Director Sue Dodson says. Programs and services include: Camp David, a weeklong camp that introduces coping skills to pediatric burn survivors and their siblings; Mosaic Table Project, helping wounded warriors with compromised hand dexterity create unique crafts; emergency financial assistance for food and transportation as well as physician-prescribed pressure garments essential for scar management.www.texasburnsurvivors.org. 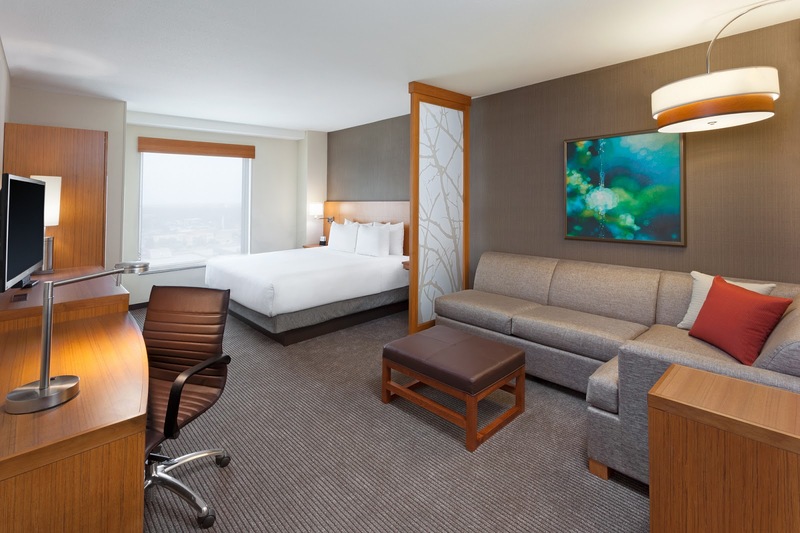 Hyatt Regency San Antonio is one of the Alamo City’s most luxurious downtown hotels. The AAA Four Diamond property is uniquely situated on the famous San Antonio Riverwalk with a premier view of the historic Alamo, connecting two of the city’s top destinations through the hotel’s 16-story atrium lobby. Guest can enjoy unsurpassed Hyatt service and amenities from swimming in the heated rooftop pool indulging in the pampering services of the DASA spa or exercising in the 24-hour Stayfit gym. 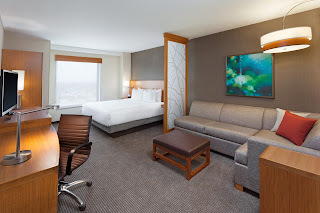 Texas-style cuisine and stylishly chic guest rooms make Hyatt Regency one of San Antonio’s premier destination hotels. 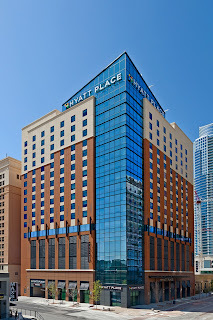 For more information and reservations, visit www.hyattregencysanantonio.com or call 210-224-1234. Grand Hyatt San Antonio The CE Group, Inc.
John Mueller: "I made the Austin BBQ scene." Here's a Zagat piece, with video, on Austin's very own John Mueller, of John Mueller Meat Co. Under which Texas pitmaster would you want to train? In a perfect world, each of us could get private cooking lessons from our favorite pitmasters whenever we pleased. In your perfect world, which Texas BBQ pitmaster would you choose? Of all the purveyors of smoked meat in The Lone Star State, under which would you choose to learn the craft? BBQ Snob in Austin tonight! Got plans tonight? 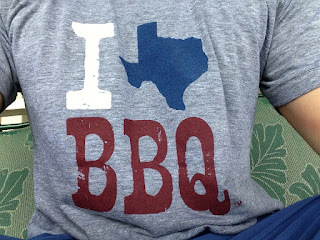 If not, stop by BookPeople in Austin (603 N. Lamar) for an event featuring Daniel "BBQ Snob" Vaughn. Daniel will speak about his new book, The Prophets of Smoked Meat, followed by a signing session. Speaking portion is free. Signing portion is available only with purchase of a copy of Daniel's book. Micklethwait Craft Meats & Saint Arnold Brewing Company will be on hand, serving hot BBQ & cold drinks. Great event! A friend bought me this shirt from a place on South Congress AVE in Austin. Pretty spot on, eh? 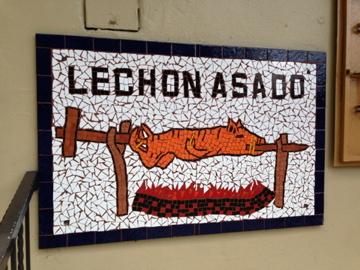 Lechon asado in Puerto Rico! Our spread on Friday from a lechonera in Cayey, Puerto Rico: lechon asado, blood sausage, rice, sweet potatoes, plantains, & beans. 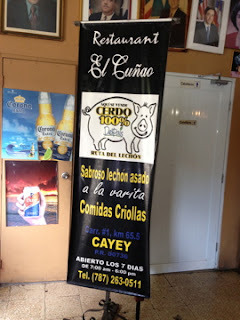 My 1st lechonera in Puerto Rico! 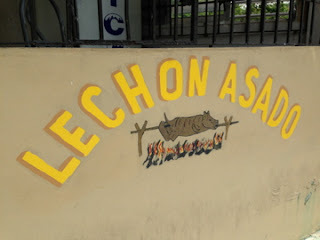 Had lunch yesterday from one of the many lechnoneras in Puerto Rico. Roadside joints that slow roast pigs on rotating spits over charcoal. The one I hit up was El Cunao, located in Cayey, in the interior of the island. Pictures of the food still to come. 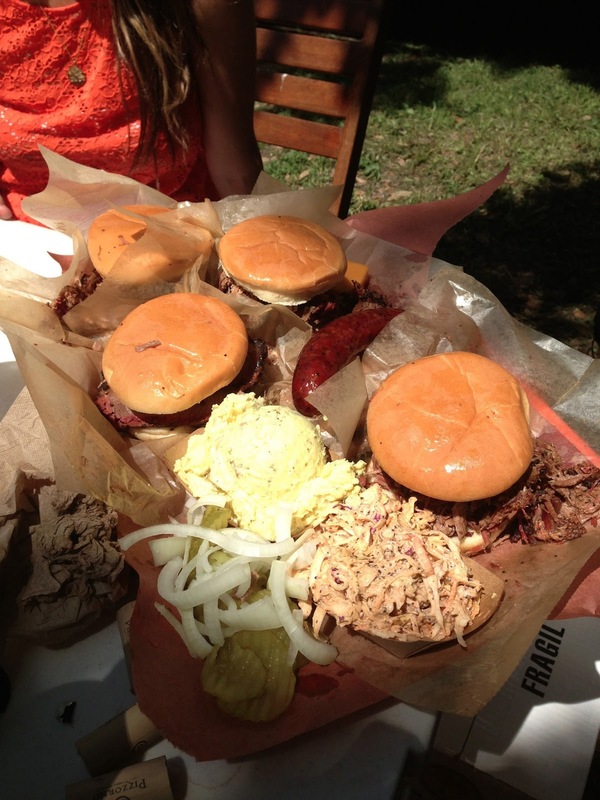 What's your favorite Texas BBQ joint not on Texas Monthly's Top 50 list? Earlier this week, Texas Monthly announced it's Top 50 BBQ joint in Texas. Which joint that did NOT make the cut is your favorite? People love "Best of" lists. People love rankings. And people love debating them. List of top BBQ joints is no exception. Yesterday, Texas Monthly, for the first time since 2008, published its list of the Top 50 BBQ joint in Texas. There are lots of Texas BBQ lists out there, but no list creates as much buzz as TM's. They say that Texas has around 2K BBQ joints. 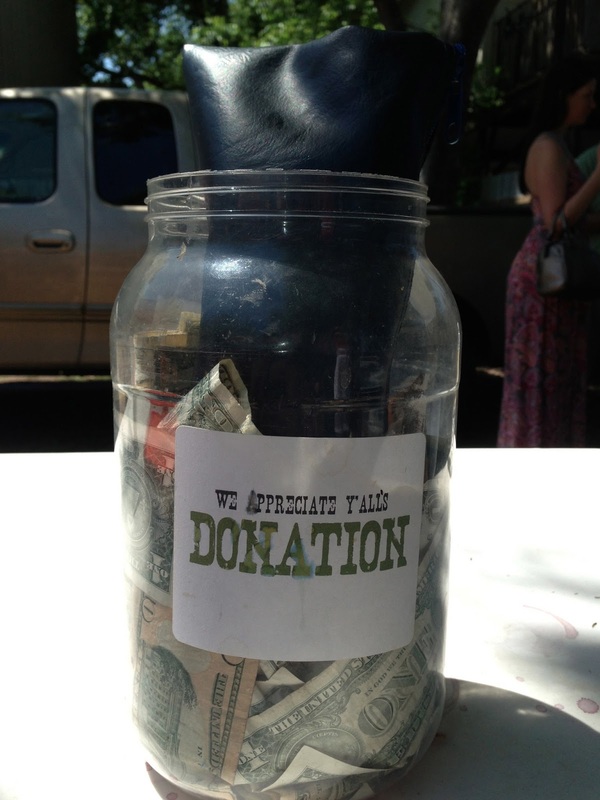 For this list, their team of eaters visited 658 of them, covering 33,168 miles. This is the most joints they've visited in preparation for the list, no doubt thanks to the help of our buddy and their new hire Daniel "BBQ Snob" Vaughn. Only 18 of the 50 are repeats from 2008, so there is certainly lots to talk about. 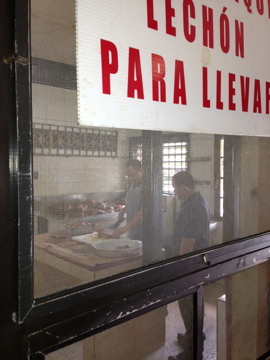 For each stop, the staffer sampled "at least 3 meats, a couple of sides, and a dessert." 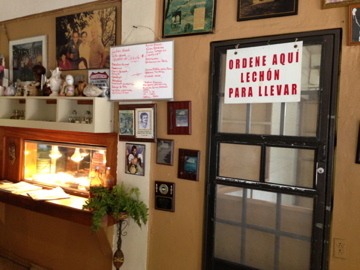 Afterward, the eater filled out a "detailed score sheet. 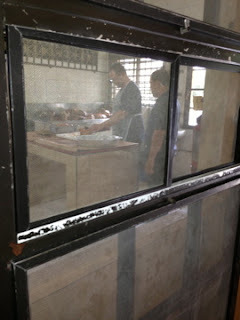 The final score considers intangibles like setting, service, and history, but mainly it is based on meat. The brisket score counts the most." Before I ask for your reactions (Many of you already have weighed in. As of now, there are 138 comments below the TM post. ), I just want to congratulate all of the winners for the honor, as well as the staff of Texas Monthly for seeing their hard work come to fruition. Kudos for traversing far and wide to get as big of a sample as you did. Cheers to all of you. So, what are your thoughts? I can't imagine any two people would come up with the same list, as lists like this are inherently subjective, so I am sure everyone has something to say. Any places you feel should not be on the list? Places that should have been included? Thoughts on the list's methodology? Should brisket count the most? What about the 1300+ joints that didn't get visited? Anyone already making plans to hit up all 50? Weigh in with your thoughts! Just touched down in San Juan, Puerto Rico. First trip here. Was supposed to land last night for my 1st of 8 nights, but the airline was on the struggle bus, so I got stranded in Miami. So, here for 7 nights. Any BBQ worth hitting up? I'm definitely on the hunt for some lechoneras! 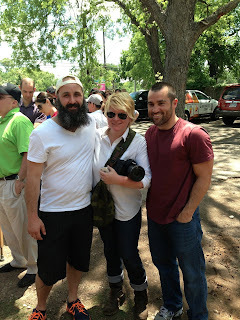 At la Barbecue with LeAnn Mueller! Near the end of our West benefit at la Barbecue, red-faced & sweaty, Brad & I snagged a pic with la Barbecue's LeAnn Mueller! All aboard for June 8 BBQ/wine/bourbon trip!!! Best Texas Trinity in Austin? Back in December, I asked which Texas BBQ joint serves the tastiest Texas Trinity (brisket, sausage, & pork ribs). Today, I want to know which Austin BBQ joint serves the best Texas Trinity. So, of all the BBQ joint in Austin, which one serves the best brisket, sausage, & pork ribs (as a group)? Don't list a favorite for each item. Just vote for one BBQ joint! 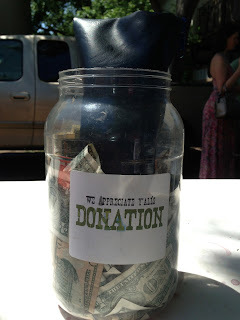 Here's the food I snagged for our volunteers at our West benefit at la Barbecue. Huge chopped-beef sandwiches, sausage, cheese, & potato salad. Didn't last long. Hyatt Place Austin Downtown is the official hotel of this year's Gettin' Sauced! We're delighted to announce today that the official hotel of this year's (4th annual) Gettin' Sauced! contest & festival is the brand new Hyatt Place Austin Downtown! The 17-story hotel features 296 guest rooms and is located at 211 E. 3rd St., in the heart of downtown. The lobby has a full bar and a Starbucks, and food is available in the hotel 24/7. Gettin' Sauced! is Saturday, September 28. Our group rate of $169 is available for Friday (Sept 27) and/or Saturday (Sept 28) and includes WiFi and breakfast! To get the group rate, click this link or use the checkout code g-sman. Which Texas BBQ joint is most consistent? 2nd location of Donn's BBQ has opened in Austin.